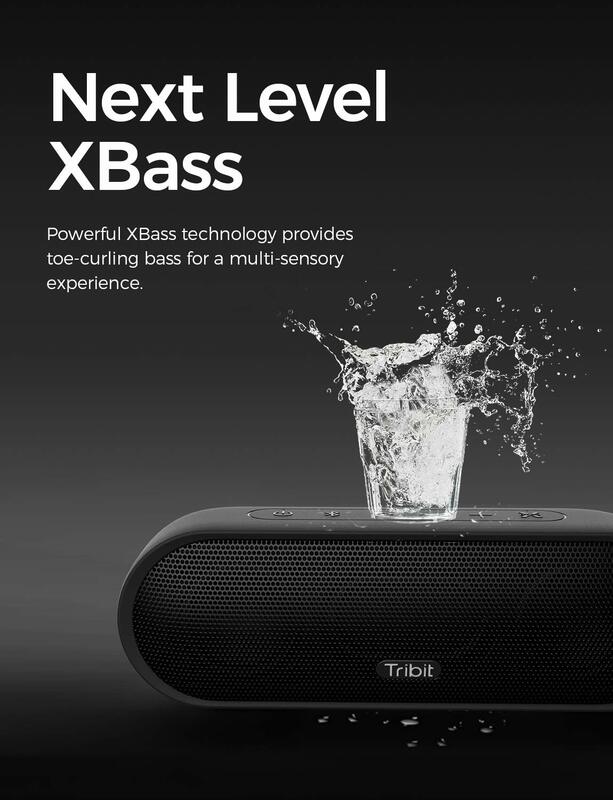 With its enhanced audio capabilities, The upgrade speaker from Tribit, Tribit MaxSound Plus brings life to all styles of music and occasions with its compelling sound profile. It features a pair of front-firing neodymium drivers that deliver remarkably clear sound that is natural, articulate, and voluminous. There’s no such thing as too much bass. Tribit has embedded our proprietary bass technology with the touch of a button to introduce thundering basslines and punchier drum Beats. 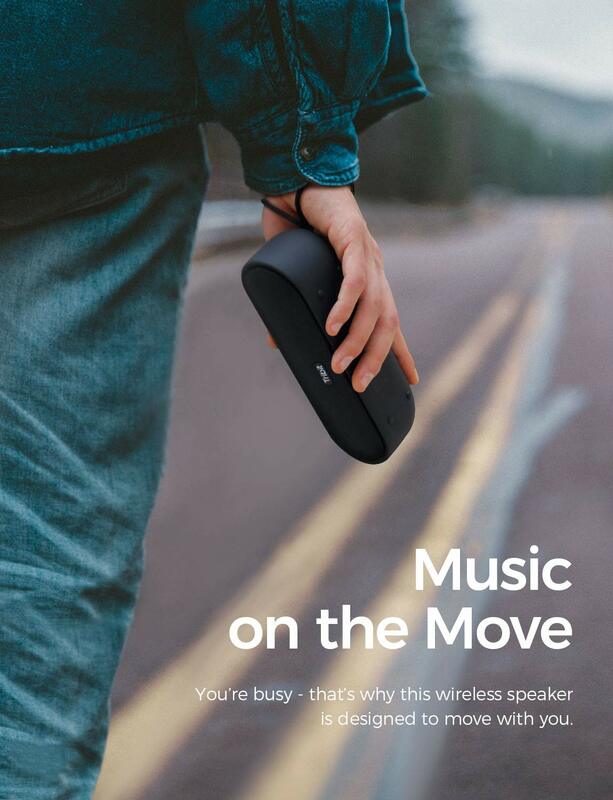 Get on the road with MaxSound Plus. 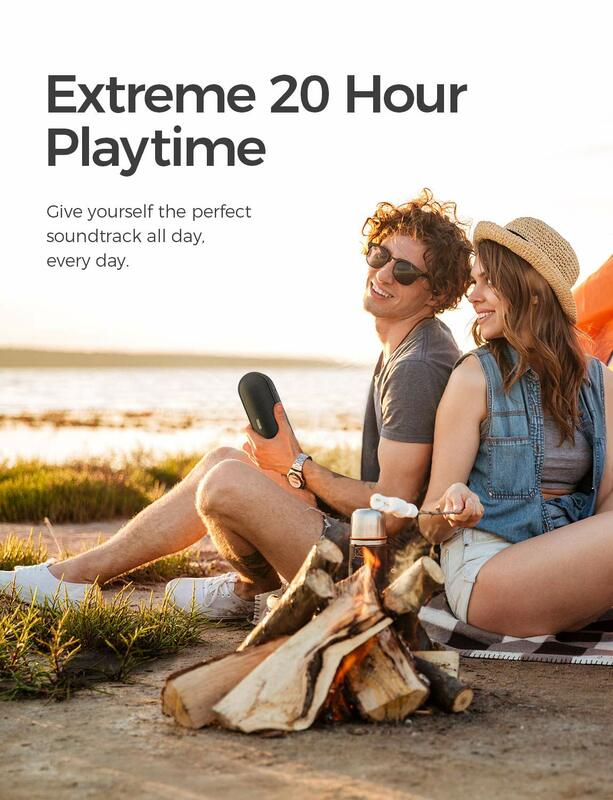 Free from the confines of wires and cords, this Bluetooth speaker offer 20 + hours of portable playtime on a single charge. Longer and louder sound pump up the volume, this juiced up powerhouse ensures the party never ends. 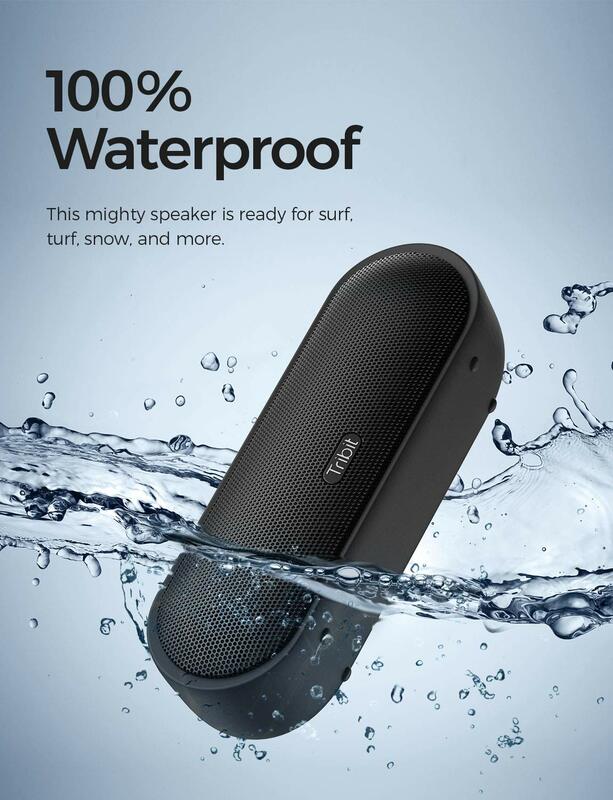 The MaxSound Plus’ IPX7 waterproof rating arises from its sturdy construction that seals internal components from the dangers of water, dust, and sand. You can trust the max sound plus to accompany you challenging environments. 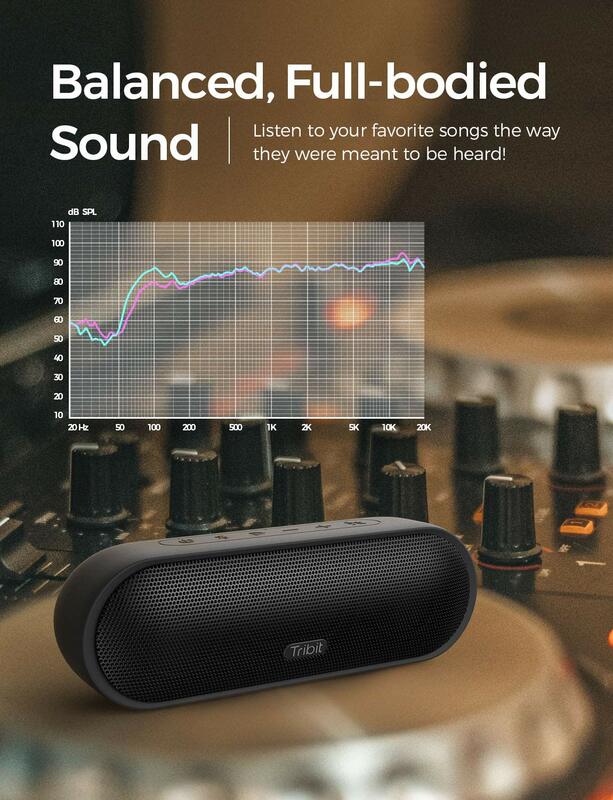 Staying True to Tribit formula of simple, easy audio experiences, The MaxSound Plus integrates Bluetooth 4.2 so you can pair a smartphone or tablet to being streaming within seconds. Tribit MaxSound Plus is freedom of movement. 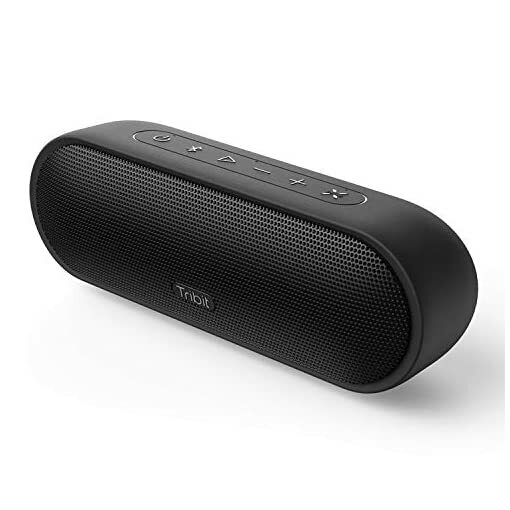 A small, compact speaker including a powerful battery, a Bluetooth connection and a strong strap allowing you to bring your music along, wherever you go. And whomever you might be going with. Tribit are committed to providing the highest quality products, so we protect your purchase by offering 18-month Replacement warranty, 30-Day money back guarantee and lifetime friendly support.